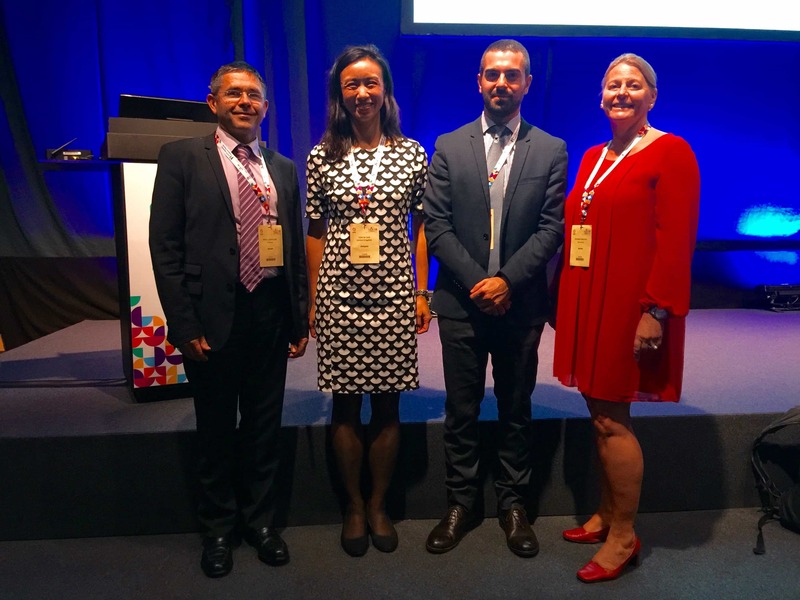 At the European Society of Cataract & Refractive Surgeons meeting in Lisbon this month, I had the honour of hosting another brilliant ocular surface masterclass! Topics included new treatments and how to optimise cataract surgery for patients with ocular surface disease due to glaucoma, herpes simplex and zoster, neurotrophic keratopathy and Stevens -Johnson Syndrome. We enjoyed excellent presentations by Professor Elisabeth Messmer from Munich, Professor Marc Labetoulle from Paris, Dr Antonio Di Zazzo from Rome, and myself. Great interaction from the audience! I was delighted to be joined by my friend and colleague Namrata Sharma, who has published great work in Stevens Johnson Syndrome.